Thierry Lacoste and David Stevenson explain how their methodology of research and investigation into each design brief often results in ‘unpredictable solutions’. 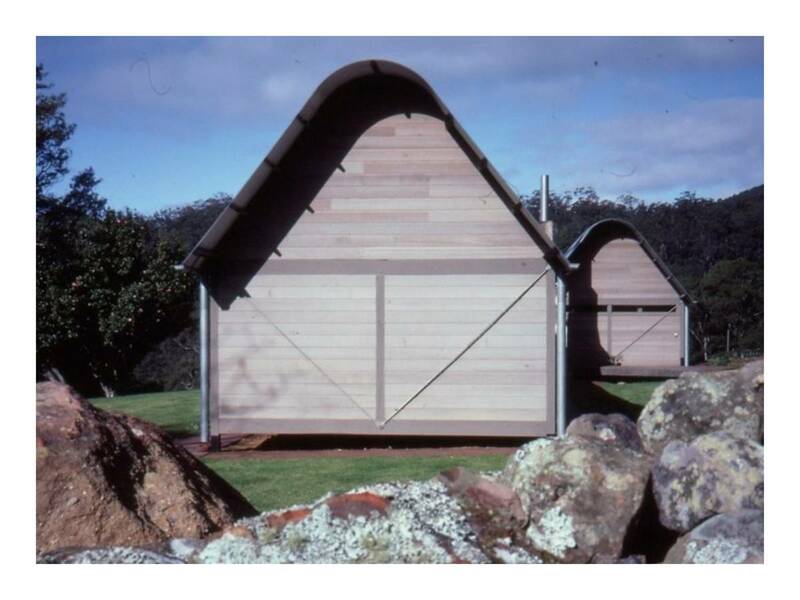 Rather than produce architecture in a particular style, each project generates its own building based on site conditions, client brief, environmental considerations and creative input resulting in a unique project each time. Each project presents an opportunity to explore design ideas that produces architecture of intellectual rigour and delight for the client and users. Landscape and building are often seen as one with a seamless integration of the two. Their first major project was a large industrial complex of office and warehouse units for a private client. This award winning building is acknowledged as providing an alternative model for this speculative building type. It contributes to the streetscape as well as creating an atmosphere that is more akin to a business park than an industrial park.Their latest project, the renovations to Customs House in Sydney, is discussed in-depth, highlighting critical issues such as quality of light, circulation, and the analysis of the qualities of the contemporary library as a ‘public living room for Sydney’. Have reinforced the importance of analysis of the design brief and the aim of satisfying user intent. Understand how a building concept must respond to its physical location, as well as addressing the relevant wider issues of urban context and environmental concerns. Have recognized the architect’s role in the critical choice of an appropriate design solution beyond currently accepted forms. Have a clearer understanding of how a design program is analysed, priorities evaluated, strategies formed and a theoretical design approach is produced. Have recognized how closely material selection links with design priorities. 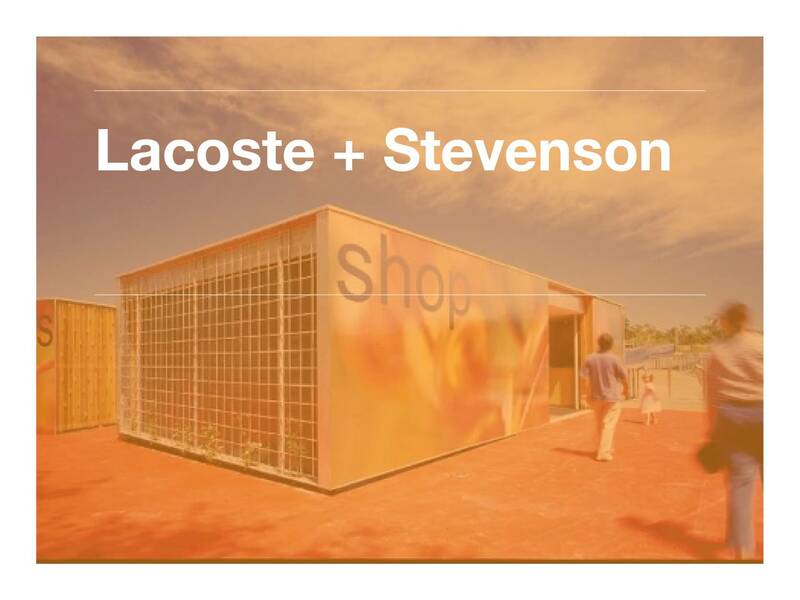 Lacoste + Stevenson is a design based architectural practice established in 1997 by Thierry Lacoste and David Stevenson. As a result of an international partnership, the practice is able to take advantage of both strong local connections together with global influences to produce a distinctive architecture. Lacoste + Stevenson have developed a reputation for innovative and responsive solutions to a range of projects, public and private, large and small including an award-winning industrial project in Sydney, an award-winning house on the Noosa River and innovative public housing in France. Currently, Lacoste + Stevenson have just completed the refurbishment of Customs House for the relocation of the City of Sydney Library to Circular Quay. The library is spread over 3 levels and is a mix of contemporary design on the ground floor and a more conventional library type on Levels 1 and 2 reflecting the different environments: The ground floor is a new public ‘living room’ for Sydney, the upper floors become increasingly reflective.